Since last nine months after the launch of latest Xbox One video game console, Microsoft has been listening to all the criticism and problems reported by gamers, but it seems like the platform holder has only recently started to take the feedback earnestly. However, now the Xbox One has started to make progress in terms of offered features, and it looks like Microsoft wants to keep it that way as well as boost the sales of the console, and that is apparently why it is rumored that the platform holder will announce another Xbox One price drop at this year’s Gamescom, bringing the original retail price of the console down to €349.99 in Europe. Trying to boost the sales of the console and catch up with Sony’s PlayStation 4 on the sales charts, Microsoft dropped the price of Xbox One console from $499 to $399 back in June by removing the Kinect motion sensors from the basic SKU. According to the reports, the console has made progress after the launch of Kinect-less Xbox One bundle, but it is still far from getting any closer to the sales figures that Sony reveals now and then, and so it appears that the American-based platform holder is planning to announce another Xbox One price drop at the upcoming Gamescom 2014. 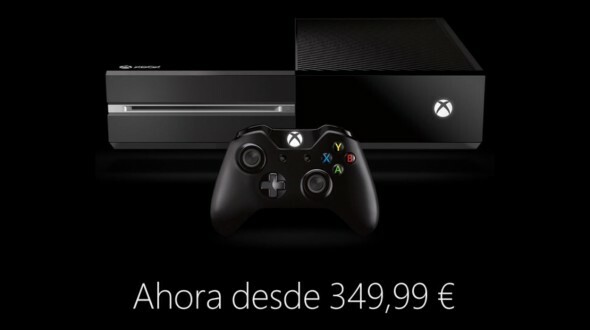 Originally spotted by a NeoGAF user called Hydrargyrus, the official mobile version of Spanish Xbox website started showing adverts over the weekend for the Xbox One with a price tag of only €349.99, which is €50 less than the current official retail price of €399.99 for standard edition Kinect-less Xbox One bundle in Europe. If Microsoft were to announce a similar Xbox One price drop in the US, the price of the console would fall from $399 to $329 only. Below is the screenshot submitted by the user. This Xbox One price drop might be Microsoft’s response to recent quarterly sales analysis where the company is still far behind Sony with a margin of 3-to-1 i.e. the Japanese platform holder sold total 3.5 million units of its PlayStation 4, PlayStation 3 and PlayStation 2 consoles, while Microsoft could only manage to sell total 1.1 million units of its Xbox One and Xbox 360 consoles. Note that the next-gen consoles were the only major contributors in the aforementioned sales figures. 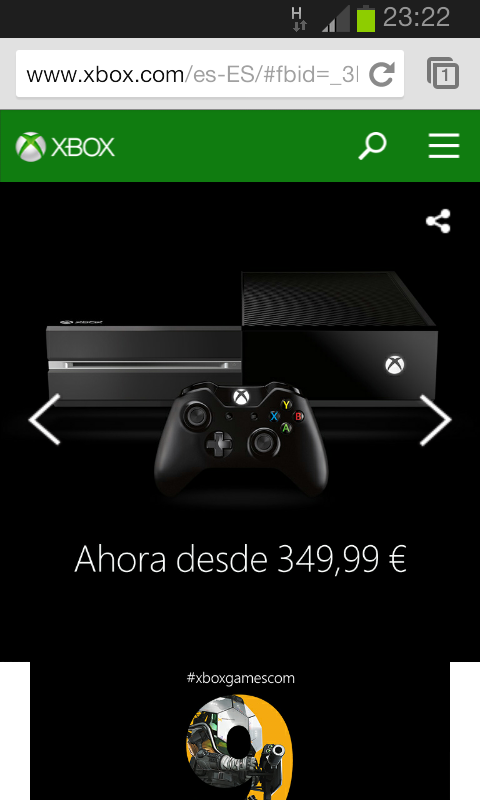 Now of course, these Xbox One price drop adverts could only be a system error as they only show up on the mobile version of the Spanish site, but then, why would the official Xbox website would display the console’s price as €349.99 unless there was something coming up. Also, Microsoft has been teasing a lot of new surprises for this year’s Gamescom, so this can’t be ignored at all, but it is a fact that a price drop at this stage is highly unlikely. There is only one way to find out if Xbox One price drop is really for real, wait for Xbox Gamescom 2014 media briefing that will take place on August 12 and see if the platform holder does the honors of announcing one. Until then, you can share your thoughts about the topic in the comments section below.